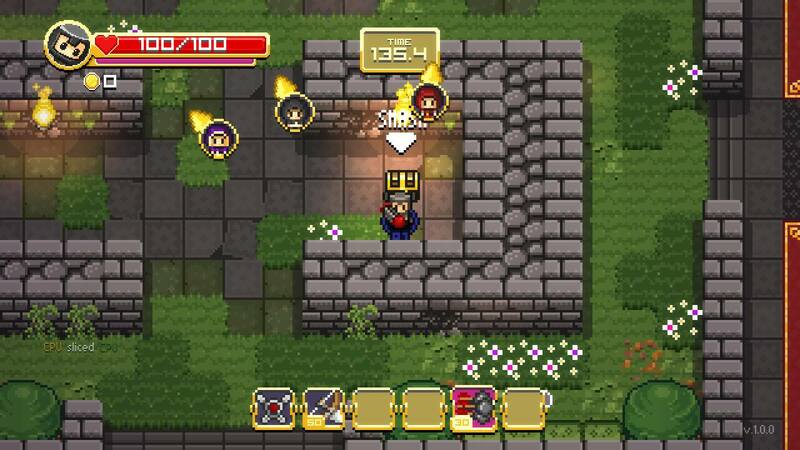 Publisher Headup Games and developer Vennril announced the release date of the Super Treasure Arena for the Nintendo Switch. Retro-inspired arcade action and objective-based arena shooter, Super Treasure Arena is Coming on Dec 24, 2018 through the Nintendo eShop and is priced $9.99. "Super Treasure Arena is a unique mix of retro-inspired arcade action and objective-based arena shooters. The result is a frantic game where collecting and stealing loot from your opponents is the key to victory. Play alone or challenge friends locally via split-screen for 2-4 players on Nintendo Switch! Choose on of four different characters (each with a unique special ability) and battle it out on tight top-down maps, filled with angry monsters and shiny loot. Various weapons scattered across each map can be picked up and will help you blasting away your opponents, including bows, magic staffs, bombs, rockets and more! There are two insane multiplayer modes for you to enjoy. Just hunt for the most coins possible locally against your buddies via split-screen!"